Visitors to the museum enter the lobby and are treated by our “Seasonal Bonsai”, a bonsai that is selected for its suitability to the season. 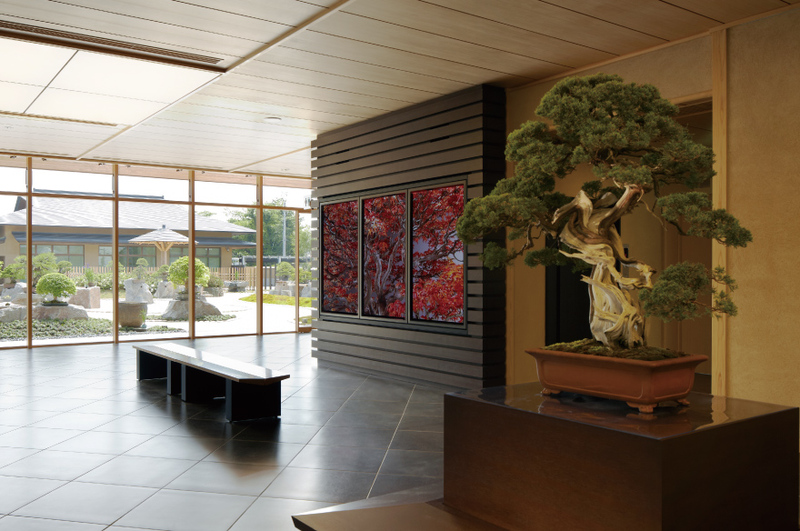 Another highlight of our lobby is the large windowed wall facing out into the Bonsai Garden from which you can take photos of the many bonsai there. At the east end of the garden is a photography section. Here evergreen masterpieces, flowering bonsai in bloom and deciduous trees wearing their fall colors are on display. 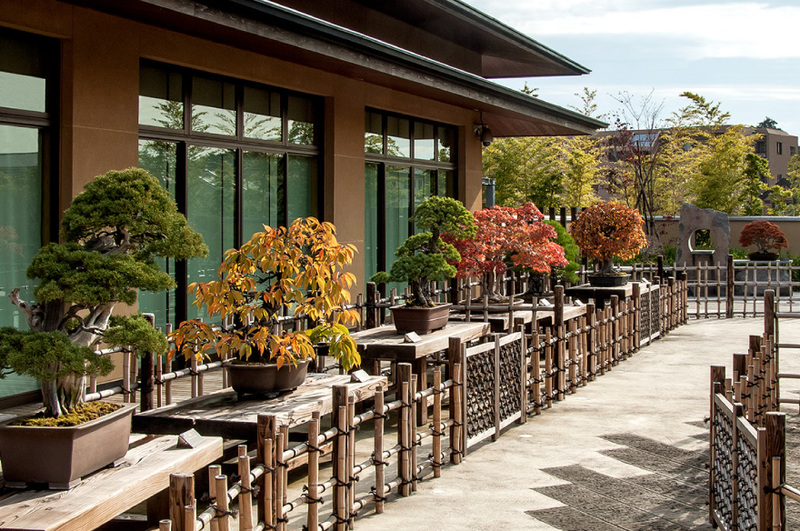 Also, a full view of the Bonsai Garden can be had from the second floor terrace, a beautiful view we also recommend.